In God's dealings with Audrey Featherstone, an ordinary lady, we see how he can take a 'nobody' and use her for his glory and the extension of his kingdom. Gordon M. Guinness in his foreword to Elizabeth Pritchard's work For such a time, speaking of the Regions Beyond Missionary Union (RBMU), Audrey's mission, says, 'Although there are great figures in the story, like Henry Grattan Guinness and F. B. Meyer, for the most part it is the account of what God had done with "ordinary" people, who dared to take Christ at his word and to follow him faithfully, whatever the consequences, in the power of his Spirit.' Audrey is the first to admit that she is one of those 'ordinary people'. We need stories today of modern missionaries who are prepared to turn their backs on home, family, security, wealth and all that they count dear, in order to win lost souls for Christ - men and women who are ready to travel to the darkest parts of the earth to live with a people they love and, if necessary, to die among them. Audrey is a modern missionary whose heart is Congolese. Her story is a gripping narrative. Her dramatic conversion, her experiences during the Second World War at the time of the London bombings, her adventures on the way to Congo and her twenty-five years' service in that nation, which included the perils of Independence and the Simba rebellion, make captivating reading. We all love an adventure story and that is what we have in Audrey's life - danger, excitement, romance, fear, heartbreak and so much more. 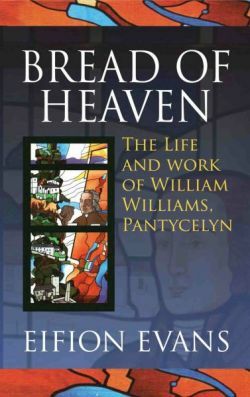 The life and work of William Williams, Pantycelyn, has been written about by many Welsh historians and eminent literary scholars over the years, almost always in the Welsh language. This book can claim to be the definitive account of his life and work written in English, which makes it available to all those who are not confident in the Welsh language. It is difficult to portray to the general public of the 21st century what life was like in Wales three hundred years ago, during a period of intense religious revival and the establishment of Methodism. Many well-known men emerged as preachers and evangelists including Howel Harris, Griffith Jones and Daniel Rowland, as well as George Whitefield who visited from England. In company with these eminent men, Pantycelyn, as he is affectionately known within Wales, was renowned and celebrated at that time for his preaching, hymn writing and theological writings, and he is still held in high respect and affection in Wales today, and his hymns are sung worldwide. What lay behind the dramatic collapse into modernism of the main denominations of England in the space of less than seventy years? This unique book presents the remarkable life of EJ Poole-Connor, a major preacher whose ministry spanned this most turbulent period in British church life, from the time of Spurgeon to the 1960s, and who brilliantly recorded its events. A Prophet amidst the sweeping changes in English evangelicalism. This book contains the moving testimonies of fifty priests who found their way, by the grace of God, out of the labyrinth of Roman Catholic theology and practice into the light of the gospel of Christ. But this is not a narrowly polemical work, nor is its relevance limited to the ongoing controversy between Rome and the churches of the Reformation. The love and concern felt by the former priests for those they left behind, and their fervent desire that they too should experience the joy and peace of salvation in Christ are seen throughout. The wider relevance of the experiences described will also be felt in many contexts remote from Roman Catholicism where human pride and presumption have erected rival sources of authority between people and the Word of God, so obscuring the way of salvation by grace alone, through faith alone. The author takes the reader through John Paton s life, from his birth in a humble cottage in rural Scotland through to his death in Melbourne, Australia, eighty-three years later. John Paton was a great pioneer missionary who devoted himself to sharing the gospel with the cannibals of the New Hebrides in the Pacific. His life was in constant danger but John knew that God was in control and that he would not die until that work was completed. Again and again, when situations were at their worst, we cannot but marvel at the way God steps in to protect John from certain death. The reader will be engrossed by the accounts of his adventures, hardships and courage. It is a story that is both exciting and thought-provoking. John was no part-time missionary but a man who lived and worked among the people he deeply loved and cared about. He constantly gave thanks to God for the wonderful change that had taken place in the lives of many people who had once been cannibals. The Greatest Century of Missions is an inspiring and motivating story of how God worked through the lives of faithful men and women willing to sacrifice all for Him. Christians serious about fulfilling the command to all of us to fulfil the Great Commission will be encouraged to become active in spreading the gospel to those within their reach. This easy to read, succinct, and accurate summary of the lives and vision of the 19th century missionaries is a must read for Christians of any age including students in home schools , Christian schools, and colleges. The only biography in print of one of the forgotten heroes of the Great Reformation. This principled, righteous king is a model Christian for young men in many respects. "One of the most important men in the history of the Reformation. His deep conviction and determination to see truth triumph cost him his life; but in losing it, he delivered nations..." (Tom Nettles). Outstanding family reading. This is the true story of one of the forgotten heroes of history and particularly of the Great Reformation. An excellent and principled king, a famous general, and not least in importance, a model Christian for young men in many regards. For from his boyhood, the grace of God formed in him skills and character with which he was destined to serve the interests of the kingdom of God. With the armies of Sweden at his command, he set out to preserve the freedom to preach the Word of God in Europe, resisting those who would have stamped out the truth of the Reformation. Even in the victories of his conquest, his character as a man of faith shone, as one of the mighty who nonetheless loved mercy in regard to even his enemies, and who said to his friends, "All that God has given me, I have given you without reserve, nor do I demand anything of you in return." In an age when boys have few military heroes to whom they can look as manifesting distinctly Christian character, Gustavus Adolphus shines as a champion who battled for his Christian brothers in a foreign land, commanding a great army and yet bowing before a greater Lord, and who ultimately made the greatest sacrifice of all--that of laying down his life for his friends. If you want your sons to learn how faith and courage unite, this is a biography you will want them to read. A book to stir us all to the missionary mindset, in which we're told the captivating story of Taylor's depth of walk with the Lord Jesus Christ and how this sustained him in an unspeakable burden of labours. Much of the theme of this story (his "secret") revolves around forcing himself to a greater degree of conscious dependence upon our Lord and less reliance upon men's financial backing. Jim Elliot was a missionary first - then a martyr later - at the hands of the Auca Indians to whom he was witnessing. At the age of 29, he left behind a young wife, a baby daughter, and an incredible legacy of faith. Jim's volumes of personal journals, written over many years, reveal the inner struggles and victories that he experienced before his untimely death. By these journals, a reader can come to know this young man who yearned to know God intimately. Tells of his thoughts about marriage both before and after Elisabeth was his wife. These journals have inspired many to a life of obedience, regardless of the cost, and delighted many with their amazing story of courage and determination. The life and ministry of a young man who lived in the presence of God, and brought an overwhelming sense of that presence to men. The deeply moving story of the home life of the Bunyan family, as John, the pastor, languished in prison as a result of his preaching as a Baptist pastor in England during the 17th century. The account is historical fiction, told largely from the vantage point of his blind daughter, Mary, his first-born child and constant joy. Mary became Bunyan's loyal, constant companion on every occasion when the authorities would permit her to visit her father at the prison, and his persistent petitioner for mercy and release before King Charles. This stirring account of how a young girl's faith in God grew, rather than diminished, during times of persecution, is an inspiring example of peculiar beauty for all believers today. This book brings into one illustrated volume eleven great lives, all with an experience of personal conversion to God. Composer Mendelssohn, food industrialist Henry Heinz, novelist Daniel Defoe, and some of the most celebrated scientists of all time including Michael Faraday and Lord Kelvin are among the examples of leading people whose lives were changed by a sight of real Christianity. Also very suitable as a gift to unconverted friends, and to enrich sermons and Bible Class messages. John Knox, the great Reformer of Scotland, is often remembered as something akin to a biblical prophet born out of time--strong and brash, thundering in righteous might. In truth, he was "low in stature, and of a weakly constitution," a small man who was often sickly and afflicted with doubts and fears. In The Mighty Weakness of John Knox, a new Long Line Profile from Reformation Trust Publishing, author Douglas Bond shows that Knox did indeed accomplish herculean tasks, but not because he was strong and resolute in himself. Rather, he was greatly used because he was submissive to God; therefore, God strengthened him. That strength was displayed as Knox endured persecution and exile, faced down the wrath of mighty monarchs, and prayed, preached, and wrote with no fear of man, but only a desire to manifest the glory of God and to please Him. This is the first full-scale biography of Elizabeth Prentiss, since the Memoir written by her husband in 1882. Sharon James tells the story of a fascinating, gifted, and godly woman, who exercised a wide influence in America and beyond through her novels and other writings. Through various tragedies in her own life, Elizabeth came to the conviction that suffering is ‘Christ’s school’ whereby we learn more of the love of God. Her various writings vividly communicate the joy of surrendering every detail of life to God, and the liberation of fully embracing his sovereignty. The humorous account of one family's journey toward a more self-sufficient life-style with the help of God. Read about their experiences with cows, chickens, horses, sheep, gardening and more. "Our Homestead Story: The First Years is such a good book! We laughed until we cried; until we rolled on the floor! The book is the story of one family's journey towards a more self sufficient lifestyle--with the help of God! Read about their hilarious experiences with their chickens!!! and also their many animals--cows, sheep, dogs, raccoons!! (not by choice!). Read about soap and candle making, spinning, fixing up an old farmhouse, and much more in this excellent book!" From a review in Future Homemakers. This is a popular biography of Hudson Taylor and the Chinese Inland Mission - similar in the style and presentation to those of Paton and Luther by the same author. It will appeal to all Christians wanting to know more about this famous missionary to China and the times in which he lived. It is a good story for young and old alike, and the chapter lengths are just right for devotional reading with children. Jim Cromarty is a retired minister of the Presbyterian Church of Eastern Australia. He also taught for twenty-seven years in a number of primary schools in Australia. ]The title of this book originated from Lady Beauchamp's children. Sir Montagu Beauchamp who gave 30 years service to the CIM often spoke of his childhood days when Hudson came to their home. The cries went up from the children as they saw Hudson approaching (dressed in his Chinese clothing) "Here comes the pigtail and chopsticks' man." New entry in the Leaders In Action Series. Offers a spiritual biography of Martin Luther. The enduring fascination of the life of Eric Liddell is remarkable. It is remarkable because he was in many respects an ordinary soul. It is remarkable no doubt also because the lifestyle and faith that he espoused cannot be said to be popular or even well-understood in our sceptical and secular age. Most people would blink in genuine amazement at a man who sought seriously to live by the Bible and devote himself to the spread of its message. It seems outdated to so many; a curio; a vestige of a past age; a 'distant enchantment' – or perhaps nostalgia? – for an era irretrievably lost. And yet … there is the fascination concerning someone who seemed so guileless yet so assured. The Revival on the Isle of Lewis, 1949-1952. SOUNDS FROM HEAVEN recounts the story of the Revival on the Scottish Isle of Lewis in the 1940s. A fascinating blend of history, biography and testimony, it includes eyewitness accounts from Duncan Campbell and Mary Peckham. It was fitting that Dr. Arnold Dallimore, author of a two-volume Life of George Whitefield (and more recently of The Life of Edward Irving) should then give us a book on Charles Haddon Spurgeon. It was in 1962 that the four-volume Autobiography of Spurgeon was republished in two volumes, with considerable rearrangement, but, even so, the Autobiography is too long to serve as a popular introduction. Accordingly, Dr. Dallimore, using these two volumes and other dependable sources, produced a much more concise narrative of Spurgeon’s life. He also set out ‘to understand and present something of the inner man- Spurgeon in his praying, his sufferings and depressions, his weaknesses and strengths; in his triumphs, humour, joys, and incredible accomplishments’. It is no easy task to depict ‘so tremendous a personality’ as that of Spurgeon in a brief volume, but in 250 pages it is here accomplished and with a large measure of success. It will meet the need of those completely ignorant of Spurgeon and his vast achievements but will stir also the interest of all who value a unique ministry, yielding 62 volumes of ‘deathless’ sermons and many other highly valuable publications. News from the Middle East finds us wherever we live in today’s world. Children often wonder about this far-removed land, while parents struggle to teach their children about Islam. Tales of Persia is a timely book of missionary tales that will teach readers about Islam and encourage a new generation of Christians. Tales of Persia is especially useful for family devotions. Robert Hicks lived in a silent, abusive world. Born tongue-tied and dyslexic and barely able to read or write until he was fifteen, he was rejected by his parents and labelled retarded by the world. Then one night, Robert discovered an unknown book called The Holy Bible, which would change his life for ever. Today, Robert is best known as the man who created and distributed the 10 million Millennium Bible Gospels and deeply involved in starting the Back to Church Sunday initiative, now practised globally. Christianity is a faith in love with history. God took on human flesh and dwelt among us. The Spirit carried that divine work over the centuries, providing courage and maturity even amid our imperfections. Christians find their true family line not through tribes and ethnic blood but in the bond of faithfulness and shed blood that has united our family for millennia. We too often view Church history as the story of obscure aliens instead of the lives of brothers and sisters, mothers and fathers. In this collection of forty-six brief biographies for children, Hannula sketches the stirring trials and triumphs of many famous and some lesser known figures in our family of faith - including Augustine, Anselm, Luther, Bunyan, and Spurgeon. Though them we can begin to enjoy the old paths and find rest for our souls. William Wilberforce (1759-1833) was a truly inspiring man. An evangelical Christian, he was the key voice that led to the abolition of Slavery in the British Empire, which then led it's ultimate abolition worldwide. Abolishing slavery was, according to Wilberforce's critics, impractical, idealistic and fantastically uneconomic. But Wilberforce was convinced that Slavery was an evil that needed to be eradicated, and was finally fulfilled a mere three days before his death. What would have happened if William Wilberforce had followed the conventional wisdom of today and kept his religious beliefs separate from his political opinions?, or not tried to "impose his beliefs on others"?, or had allowed the desire to be "relevant", "tolerant" and "popular" to outweigh any desire to stand for what was right? This is a fascinating look at William Wilberforce's life. The energy, persistence and unashamedly evangelical faith is a shining example to all Christians today. The parallels for the Christian today who holds the unpopular positions that following Christ entails, should be abundantly clear. the British secret agent who was the inspiration for Q in the James Bond 007 stories. What did these people, and the others whose lives are told in this book, have in common? During the turbulent events of those momentous years, God was at work in their lives. He brought these thirteen people to trust, know, love and serve the Lord Jesus Christ, and therefore to give themselves to the service of others.